In today’s multicultural business environment, there’s no way you can undermine the importance of cultural awareness. Whether providing customer service in French, Spanish, Portuguese, Chinese, Arabic or any other foreign language, it is essential that you take cultural peculiarities into consideration in your everyday communication. Failing to do so can not only make the conversations seem strange to your international callers but can also lead to a complete communication breakdown. Not to forget the resulting customer dissatisfaction and potential loss of business. The scenario is no different when dealing with German customers. Germans have their own quirks which distinguish them from many others. Hence, if your business requires you to deal with German clients, your customer experience strategy must incorporate their cultural nuances to ensure stellar service to this set of customers. Here are a few of the cultural peculiarities that any German call center team should be cognizant of when assisting the Huns. In Germany, the use of the first name is reserved for one’s family and close friends. Formality is the norm in business dealings. Thus, when offering German customer support services, it is crucial that your German call center agents address callers appropriately, greeting them using their titles and surnames. Typically “Herr” and “Frau” are used to address German-speaking men and married/ widowed women respectively. The usage of “Sie” and “Du” also merits careful consideration. While both imply “you”, the former is more formal and polite while the latter is informal. So, unless one claims to know the person on the other end well enough, they should stick to “Sie”. Another interesting fact for your German call center team to make a note of is that when picking up the phone, Germans tend to introduce themselves using their last name. Hence, one shouldn’t be surprised if they don’t hear the expected “Guten Morgen” (Good Morning) or “Guten Abend” (Good Evening) when making outbound calls to customers from Germany. Also, call center agents should identify themselves first before requesting for a concerned person else they may be perceived as rude. Germans commonly give out their phone numbers in double digits – minutiae worth keeping in mind when sharing or jotting down contact information. Extremely direct in their approach, Germans generally don’t bother much with niceties when conducting business. You can even argue that they lack humor and are too pragmatic to be emotional. The average German would rather get straight down to business than invest precious time in exchanging pleasantries. Getting overfriendly or talking about one’s personal life is a ‘no-no’ in Germany as German business protocol demands formality. So, while small talk may be your German call center agents’ strategy to break the ice with a customer, they must engage in it with caution as it may not strike a chord with your German callers. Even if your team makes small talk, it will be wise of them to center the conversations on safer topics such as football, business and beer. If your team is already acquainted with German stereotypes, they will probably know that the Huns carry an infamous reputation of being direct to the point of rudeness. Not that it implies that they are intentionally curt. It doesn’t. It’s just that the honest and straightforward communication style of Germans manifests itself in their lack of tact when speaking their mind, calling a spade a spade without batting an eyelid! Your team can actually leverage this trait of to their advantage as they know that any feedback coming their way is brutally honest – telling them exactly what works and what doesn’t! Their inherent anxious nature makes Germans averse to risks. Extremely meticulous in their approach, they detest chaos and uncertainty in any form, including poor planning, ambiguous statements and disorganized meetings. Business meetings are generally scheduled in advance, aiming for specific outcomes and requiring all parties to adhere to the set agenda shared with them beforehand. Expect a slow decision-making process in the hierarchy-driven business culture. Last-minute adjustments and abrupt changes to the planned scope are not taken kindly and are bound to raise a few eyebrows. What this implies for your support staff is that they should be thoroughly prepared when providing German customer support services. Likewise, they should not count on on-the-spot judgments in matters that may necessitate the involvement of a decision-making authority – be it the purchase of a relatively more expensive product/service or an alteration to the original scope of the project. Handling German callers with all their idiosyncrasies can sure be challenging for your German call center. However, not so much so if your team makes efforts to delve into the psyche of the Germans to understand why they behave in the way they do. Germans are highly efficient themselves and they seek perfection in everything. This explains why they are so hard to please. They are also a stickler for rules and like to follow policies and procedures to the T. Demonstrating a rational approach in their way of working, they stress more on facts and logic than hyperbole. Thus, instead of trying to impress your German callers with tall claims and glitzy advertising, your team must strive to get it right the first time – ensuring they verify all facts before presenting them to the callers. In Germany, business negotiations are typically consensual and the goal is to achieve a win-win situation for both parties. Thus, when engaged in discussions with German callers, your team should try to come up with resolutions that not only adhere to your business protocols but also accommodate the interest of the callers. Even though discussions are direct and frank, Germans make efforts to keep them non-argumentative. Raising voices or emotional outbursts are not common during business negotiations – something to keep in mind when offering German customer support services. Driven by facts and logic, Germans don’t respond well to marketing gimmicks and overt sales messages. Hence, coach your German call center agents to make a conscious effort to refrain from employing hard-selling techniques when attempting to sell complementary or comparatively higher-end products and services to the callers. Already dreading the idea of dealing with German callers, fearing they will make you go insane with their finicky nature and demand for perfection? 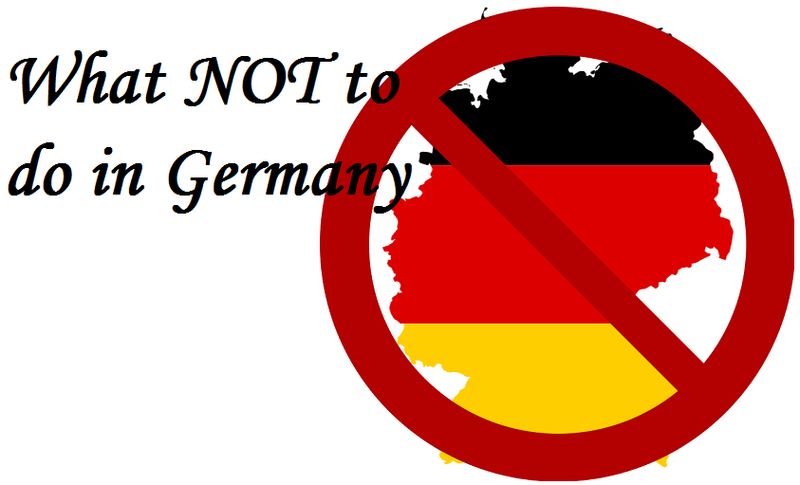 Don’t shun them yet as there are a lot of positives that Germans bring to the table, including their long-term mindset and willingness to invest in lasting business relationships. Germans make reliable and trustworthy partners who like to fulfill their promises and do not shy away from openly highlighting the shortcomings of your products and services. Neither do they mince words when suggesting ways to improve your offerings – a trait worth appreciating if you are serious about elevating your service levels through honest customer feedback. At LiveSalesman, we specialize in multilingual support, including call center services in German. Our call center agents are fluent in both written and spoken English and German. Moreover, we do not limit our German customer support services to phone alone and also extend support to live chat, mobile and social media. Furthermore, we have the capability to offer your German callers round-the-clock support to ensure they are never left wanting for service because of time difference or limited hours of operation. Reach out to us today to find out how you can leverage our German call center service to add more value to your business without breaking the bank!